If you need steel parts machined we are one of the most capable and affordable sources, and we can get the job done right. Steel is a metal alloy consisting mostly of iron, typically with small amounts of carbon although other elements may be included such as manganese, chromium, vanadium and tungsten. Steel parts are often economical due to the lower cost of the metal, but sometimes are more expensive than aluminum because of additional time required to machine them. Comparing to aluminum, steel parts are typically stronger. The common metal comes in numerous alloys with a wide variety of properties and is one of the least expensive metals. Steel is easily formed to make enclosures and other shapes and can be hardened, is magnetic and has many alloys that are easily machined. Steel parts are used in countless ways including: electronic enclosures, auto parts, engine parts, lighting fixtures, appliances, chassis, bolts, nuts, tools, jigs, furniture, material moving equipment, and decorative architecture. 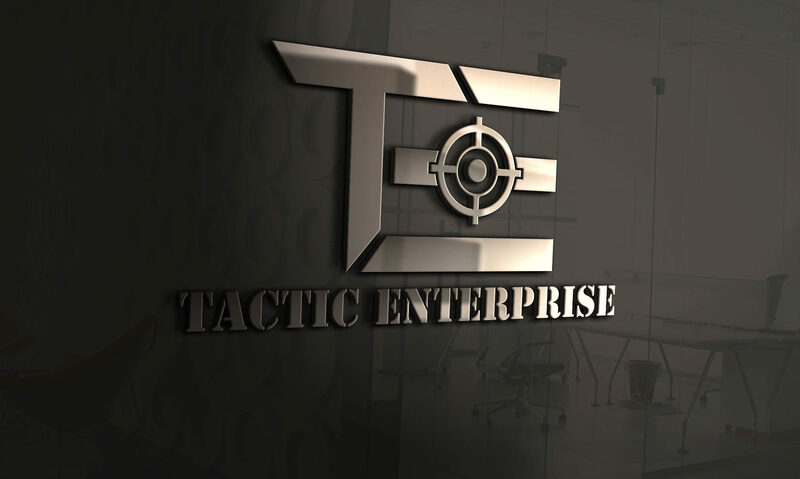 Tactic Enterprise LLC manufactures steel parts using Bending, Counter boring, Counter sinking, Drilling, Surface Grinding, Laser Cutting, Milling, Plasma Cutting, Reaming, Band sawing, Threading & Tapping, Turning (lathe), Waterjet Cutting and Wire EDM. If you need aluminum parts machined we are one of the most capable and affordable sources, and we can get the job done right. Aluminum is the third most abundant element in the earth’s crust after oxygen and silicon and is a comparatively new industrial metal, widely used for less than 100 years. Aluminum parts are economical, light weight and attractive. Parts made from this metal are often less expensive because they can be machined in less time than many other metals such as steel and do not require additional finishes. As the pure metal is soft, small amounts of copper, magnesium, zinc and other elements are added for strength. It is resistant to corrosion as a thin protective layer is formed when exposed to the atmosphere, preventing surface rust. Aluminum is chemical resistant, easy to machine, and has a high strength to weight ratio – it weighs about one-third as much as steel. It is also a good conductor of electricity and heat, making it ideal for heat sinks, and reflects heat and light, is non-magnetic and is malleable. Some of the most popular aluminum alloys follow. Aluminum 2024 is used in applications requiring high strength to weight ratio, as well as good fatigue resistance. It is not weldable and has average machinability. 2024 has poor corrosion resistance. Due to its high strength and fatigue resistance, 2024 is widely used in aircraft structures, especially wing and fuselage structures under tension. Aluminum 5052 is one of the most common alloys of aluminum in sheet metal fabrication. It is readily bent, punched and sheared. Aluminum 6061 has good mechanical properties and good weldability. It is one of the most common alloys for general purpose use. 6061 is widely used for construction of firearm parts, aircraft structures, such as wings and fuselages, yacht construction, utility boats and bicycle frames and components. 6061 is highly weldable and is often used in extrusions and hot forging of automotive and industrial parts. Aluminum 6063 has generally good mechanical properties and is heat treatable and weldable. It is mostly used in extruded shapes for architecture, particularly window frames, door frames, roofs, piping, tubing and furniture. 6063 is highly weldable although strength near the weld can be diminished by up to 30% without subsequent heat treating. Aluminum 7075 is strong, with good fatigue strength and average machinability, but is not weldable and has less resistance to corrosion. Cost is relatively high. 7075 is often used in firearm parts, aircraft including wings and fuselages, rock climbing equipment and bicycle components. Parts made of this popular metal include electronic device enclosures, upper and lower firearm receivers, containers, lids, handles, auto parts, aircraft parts, marine parts, engine parts, cooking utensils, optical reflectors, lighting fixtures and medical devices. Tactic Enterprise LLC manufactures aluminum parts using many different processes: Bending, Counter boring, Counter sinking, Drilling, Knurling, Laser Cutting, Milling, Reaming, Threading & Tapping, Turning (lathe), Waterjet Cutting and Wire EDM.